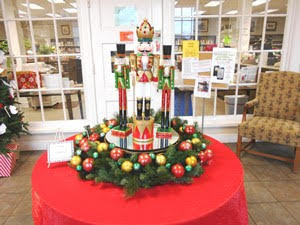 These are pictures of some of the beautiful Christmas Decorations at the Winston County Library. Stop by and see the other displays: The Junior Auxiliary Angel Tree, The Santa Claus display courtesy of Mrs. Shirley Hammill Smith, the library book tree and the quilt display by Martha Dubard. Lobby display courtesy of Southern Traditions. 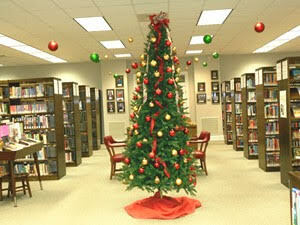 Christmas Tree in fiction room. 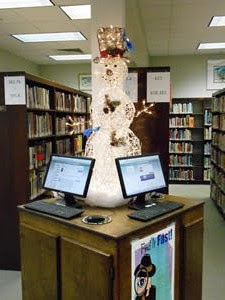 Friends of the Library snowman.